The greatest girl band in history Spice girls are having their reunion for the 21st anniversary of Wanabe, and the whole world is invited to party with the girl group who redefined partying and fun living. But there is a hitch. Two hitches actually. 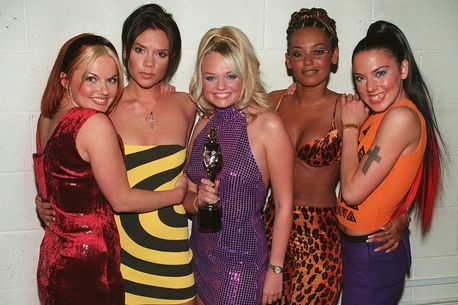 Mel C also known as sporty spice will not be joining the much anticipated reunion. So far Mel B (scary spice) Geri Horner and Emma Bunton have all confirmed their participation. But Sporty Spice has appeared in public after shunning the reunion. Mel C - who had huge success in the girl band - lived up to her pop nickname as she stepped out in London in her finest sportswear. Three of her former bandmates confirmed they will be reuniting as a trio to celebrate the 21st anniversary of their hit debut album. The three even shared promotional photos and a video this morning as they informed fans about the exciting news. They thanked their teeming fans for their years of unwavering support. Victoria Beckham also known as posh spice, has indicated a strong interest in being part of the reunion, primarily because she wants her daughter to see her as a Spice girl at least this one time.